See also the Womens Fleet page on the BYC website. 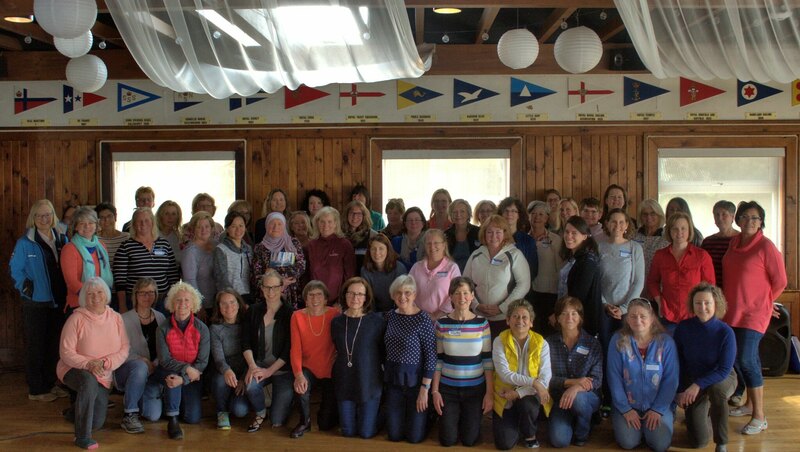 Back by popular demand, BYC is hosting the Women in Wind Conference on Saturday, April 28th, 2018. Organized by the Ottawa River Women’s Interclub Fleet Committee, this day of workshops and presentations aims to provide an environment where women who are experienced racers, cruisers and new members alike can improve their sailing skills. The agenda includes presentations, discussions and hands-on workshops, and offers women an opportunity to learn or refine their sailing skills, to network with other sailors, and to build the confidence to become a valuable crew member or knowledgeable helmswoman. Since BYC now has an elevator, the conference is accessible to all. See the agenda, or a more detailed list of Workshops and Presenters. Registration, including lunch, is $35.00; registration closes April 20th. To register, please contact Breanna Grey at the BYC office, 613-828-5167, or info@byc.ca. For more information, please contact the undersigned. 22 Mar: HM: Page created. 11 Apr: HM: Updated links. Removed reference to early bird special. 18 May: HM: Added link to photo; added link to report. 19 May: HM: Added link to BYC Women’s page.